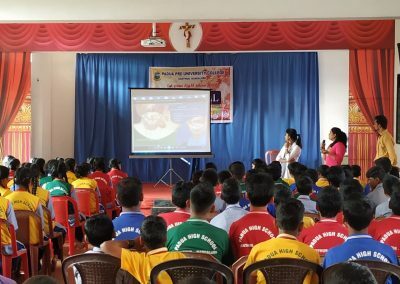 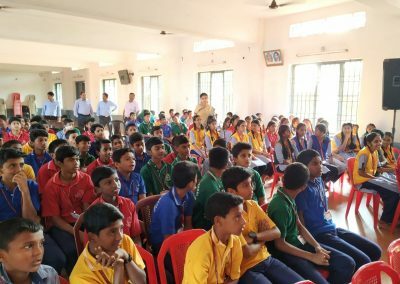 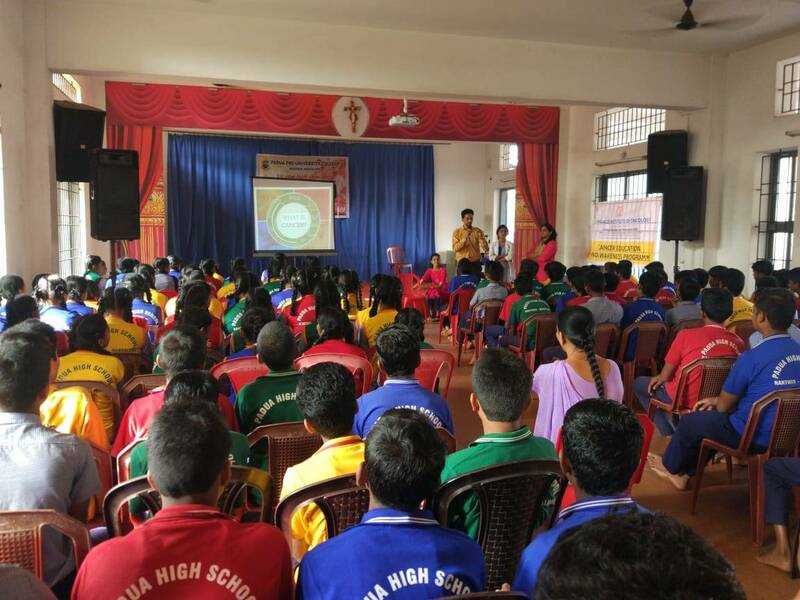 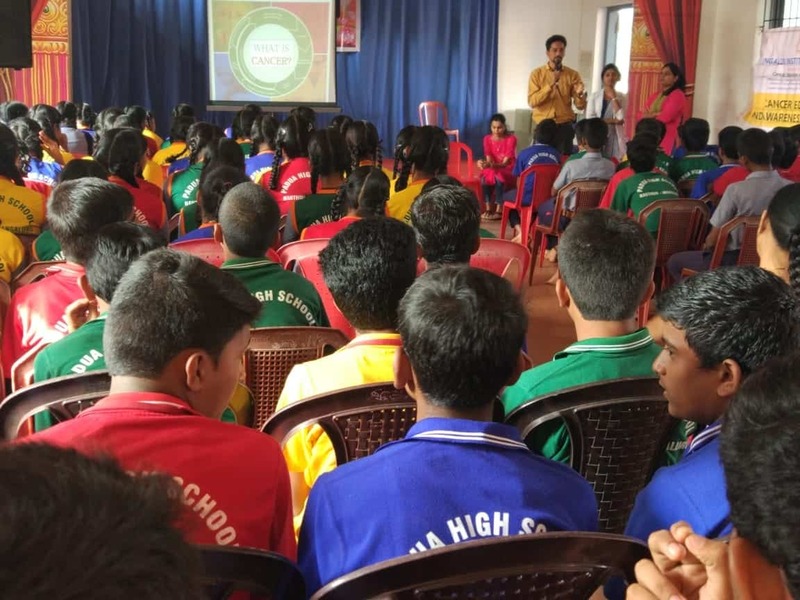 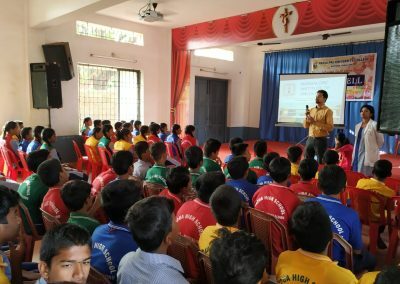 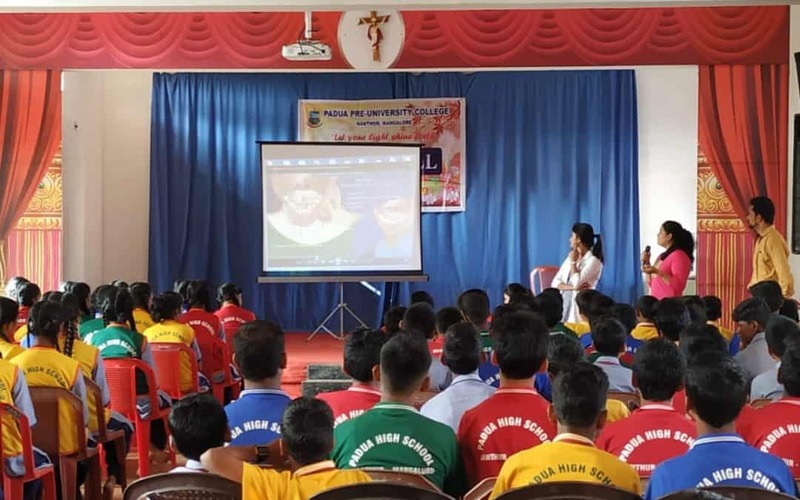 Cancer Education and Awareness Cell (CEAC) MIO conducted an awareness programme for the Padua High school students on 21st January 2019. 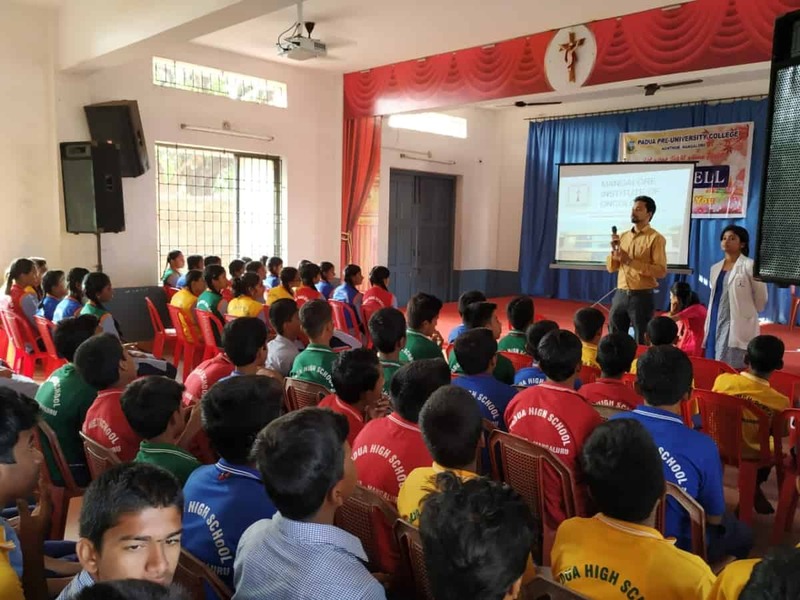 Mr. Rajesh Shetty addressed the students and had an interactive session with them. Ms. Mintu and Mrs. Poornima spoke on the signs, symptoms, and type of cancer. The session concluded with a talk on food habits and healthy life style by Ms. Deekshitha.